Have you ever wondered what is peeling? It is also known as scrub and it is a cosmetic agent that includes abrasive elements. It eliminates the impurities and dead skin cells. Once the skin is subjected to a scrub or peeling it becomes smooth since this process stimulates the blood circulation and promotes rejuvenation of the skin cells. By preparing a homemade peeling you will be able to cleanse your skin and in the same time regenerate it. You will also eliminate the stretch marks and cellulite. 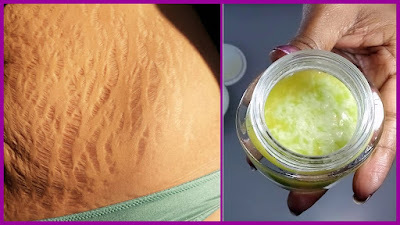 The sugar-salt peeling is one of the most famous because it is very effective in eliminating the stretch marks and cellulite by using cheap ingredients. If you cannot find palm oil you can use olive oil or any other vegetable oil. When it comes to the salt, the best choice would be sea salt because it is loaded with iodine and micro-elements which mends the skin once it comes in contact with it. Combine the salt, sugar and the oil in order to get a composition which is similar to thick yogurt. This peeling should be used every night while taking a shower. Simply, rub it into the affected areas of the skin by doing massage in rounded motions for 2-3 minutes. Then you can wash it with warm water. Once the procedure is done, you should put any moisturizing cream or lotion on your body. You will soon see that the stretch marks and cellulite are less visible after only one month of regular use. Even though you have positive results, you shouldn’t stop with the procedure. It is very possible that you will be able to eliminate the cellulite and stretch marks by only implementing this cheap treatment.